1. In a large mixing bowl, mix together all the ingredients for the marinade. 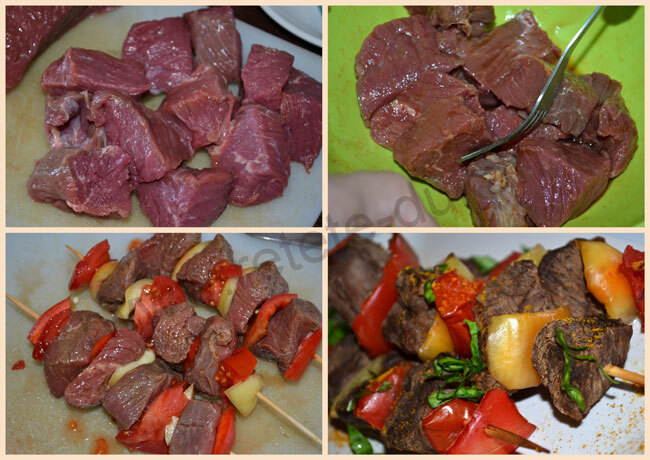 Transfer the cubed beef into the mixture, stir to coat and let it marinate for 3 hours, giving it a stir every hour. 2. Preheat the oven to 350 F/180 C.
3. 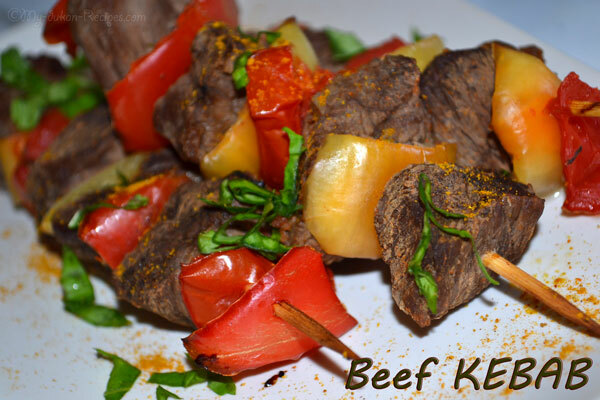 Thread the beef cubes and vegetables onto the kebab sticks in an alternating order. 4. Place them in a non-stick oven proof dish and cook for 20 minutes, turning frequently to ensure all sides are cooked evenly.